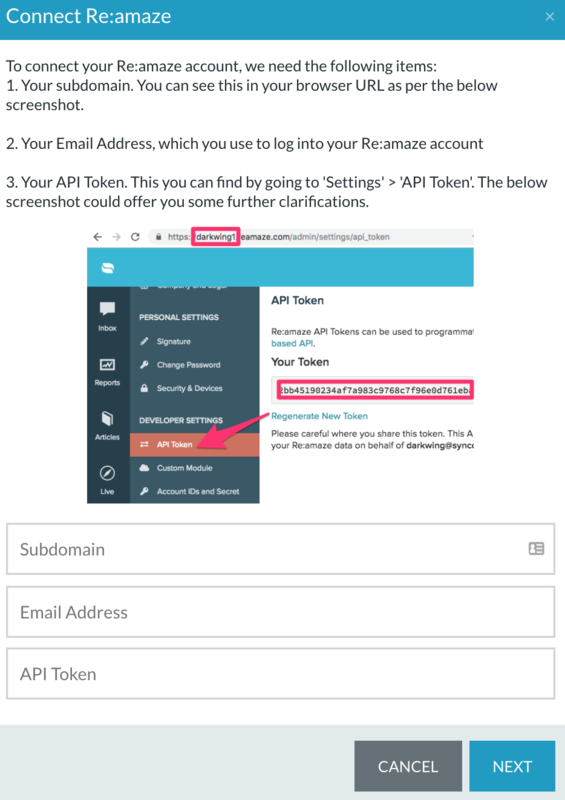 To authorize Re:amaze, we need your Subdomain, Email Address and API Token. These can be found as shown below. 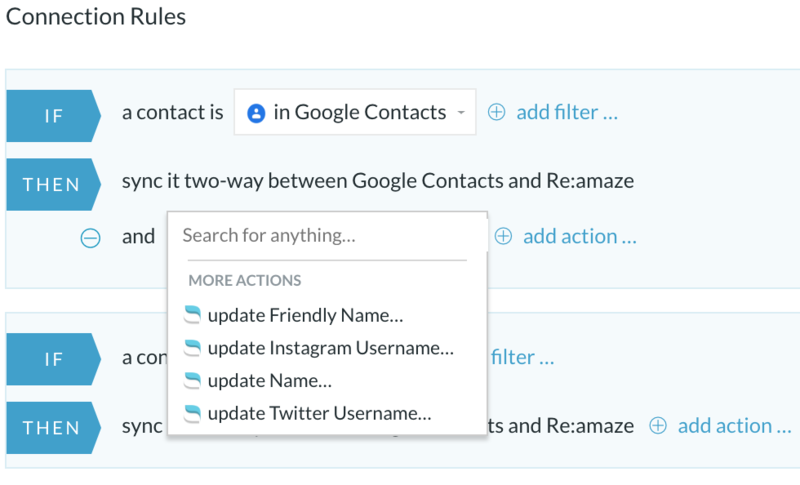 If you already authorized Re:amaze account(s) in the past or in any other PieSync integration, you'll be able to skip the first part of the authorization and choose from your CONNECTED ACCOUNTS. You can custom map your Re:amaze Custom Fields and any additional standard fields that aren't included in the default mapping yet. Bear in mind a mapping between two fields can only exist if the types of fields are compatible, and the particular compatibility will determine the direction of the mapping as well. More information on Customizable Field Mapping here. 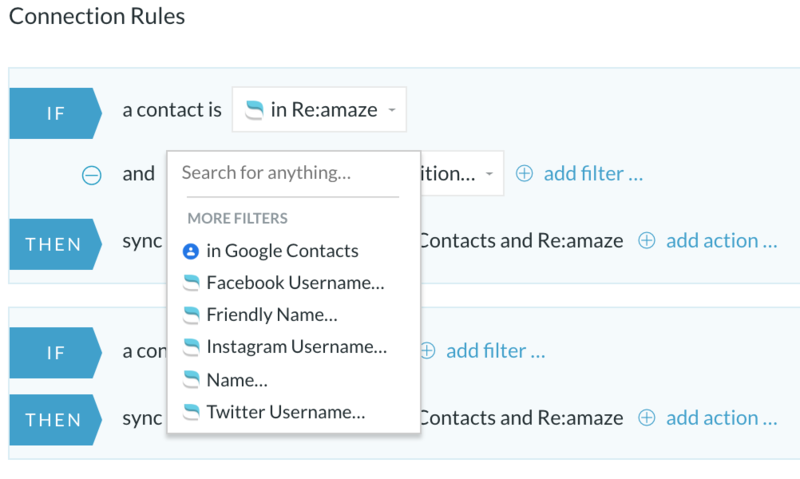 Re:amaze allows you to create specific custom fields for each contact. Therefore, you have the ability to add a Custom Re:amaze Field directly within Piesync. 1. If the custom field already exists in your Re:amaze instance, make sure to enter the exact same name and format. 2. If the custom field does not exist yet, PieSync will add it for you, as a single text field. Currently, there are no Re:amaze integrations on the PieSync platform that support our deletions sync. Currently, there are no Re:amaze integrations on the PieSync platform that support our unsubscribes sync.